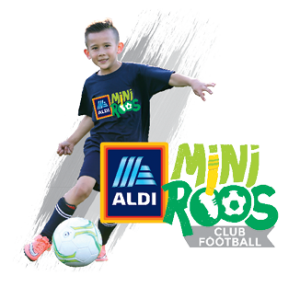 ALDI MiniRoos Club Football is a smaller version of football that provides boys and girls aged 5 – 12 with a fun introduction to the world game. ALDI MiniRoos Club Football is designed for kids; it is all about having fun, learning new skills and making life-long friends while playing in a team-based ALDI MiniRoos environment. Delivered by grassroots clubs across Australia, ALDI MiniRoos Club Football provides opportunities for boys and girls of all abilities, shapes and sizes to play football. Football is the game that everyone can play, so get involved and become a ALDI MiniRoo today! 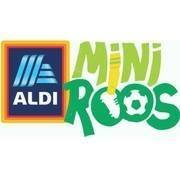 For more information on ALDI MiniRoos Club Football please go to ALDI MiniRoos. The philosophy at Wolves FC is to allow all players to be introduced to the game of football, gain new skills, gain new football habits, form new friendships, be part of a team and have fun all at one central location. This is expanded as the players get older and they understand the game more and their skills develop. Here, new challenges arise as players will be playing against opponents from different clubs with similar abilities. Note that the Club will make every effort to place players in their appropriate age group as determined by their date of birth. For any player wishing to play out of their appropriate age group, they must consult with the Grassroots Co-ordinator beforehand. Under MiniRoos, under 6 & 7’s play a game consisting of 2×20 minute halves. Teams play 4 v 4 with 3 interchange players (a maximum of 7 players per team). The players play on a field 30m x 20m. For this age group there are no goalkeepers as the are introduced at the under 8 age group. Under 6 & 7 players will be placed into squads with limited number of players. These squads will train together during one night through the week and, on the weekend, the squads are split into two by the coach to form a gold team and a black team. Each team will consist of 4 to 5 players. Under MiniRoos, under 8’s play a game consisting of 2 x 20 minutes halves. Teams play 7 v 7 with 3 interchange payers (a maximum of 10 players per team). The players play on a field 40m x 30m. Under 8’s also see the introduction of the goalkeepers and throw ins. Under 8 players will be placed into teams of 8 to 10 players. These teams will train together on one night through the week and play together on the weekends. The under 9, 10, 11 & 12 age groups will play at home and away i.e they play against other clubs in the local area (also known as a hub). All games are held on Saturday mornings and can be played at either Wolves FC grounds or away at an opponent’s ground. Under MiniRoos, under 9’s play a game consisting of 2 x 20 minutes halves. Teams play 7 v 7 with 3 interchange players (a maximum of 10 players per team). The players play on a minimum field size of 40m x 30m and up to a maximum field size of 50m x 40m. Under 9 players will be placed into teams of 8 to 10 players. These teams will train together on one night through the week and play together on the weekends. These teams will play home and away throughout the season. For the under 10’s , 11’s & 12’s, they play a game consisting of 2 x 25 minute halves. Teams play 9 v 9 (including a goalkeeper) with 3 interchange players (a maximum of 12 players per team). The players play on a minimum field size of 60m x 40m and up to a maximum field size of 70m x 50m. Under 10,11 & 12 players will be placed into teams of 10 to 12 players. These teams will train together on one night through the week and play together on the weekends. These teams will play home and away throughout the season. Players in the team are of minimal skill or are new to the sport and need time to learn rules and develop skills and teamwork. These teams will play either in-house or in hubs, depending on the club. Players in the team have average skills, played the sport previously and as such know the rules and how to play as a team and can engage in matches with minimal instruction from their coach. These teams will play in-house or in hubs, depending on the club. Players in the team have average to above average skills. Matches are usually played with speed, skill and tactics. These teams will play in either, the North, West or South zone. Therefore, travel between clubs will be required. The number of hubs within each zone will be dependent on the number of team nominations. To ensure that players are grouped accordingly, they will be assessed on their skills and then they will be grouped accordingly. Once the players are appropriately grouped, the teams will be formed. This will allow players to be placed in a group that best suits them and will allow them to develop their skills, play against similar skilled players and enjoy the game. To play at Wolves FC you must be registered. Go to our registration page for further details. All players are registered and registration fees paid before they will be allowed to play any games or train with a team. Players should play in their designated age groups as determined by their date of birth. Once we have all registrations in early February players will be placed in teams and we plan to advise of teams by Friday 23rd of February. If you have any particular preference, please advise your year coordinator. Whilst every care is taken to fulfill individual wishes, this is not always possible and we appreciate your understanding should a particular request not be fulfilled. Players of the same age group train at the similar times on the same day each week to ensure mobility of players between teams, coaching coverage and ease of administration. Exact start and finish times are dependent on the coach. Please consider what area you’d be prepared to assist in prior to joining the club and advise your Year Coordinator of any preference. Every team requires a Coach and a Manager. At this level, volunteer coaches and managers play a vital role in the club to assist and we are always looking out for enthusiastic parents to take on these roles. Wolves FC will provide assistance to all coaches and managers in the form of our coaches and managers information sessions and the coaches development program. Wolves FC recommends all coaches attend coaching courses such as the Grassroots Coaching Licence course and the Junior Licence course. What Equipment Do I Need to Play Football? To play football, all players will need to have football boots, shinpads, Wolves socks, Wolves shorts and a Wolves jersey. Wolves FC will supply jerseys for all teams to use during the football season. All teams are also supplied with a football kit which consists of equipment such as footballs, markers, training bibs and a first aid kit. All jerseys and football kits supplied by Wolves FC remain the property of Wolves FC. It is also a good idea to have on hand sunscreen, a hat (with a soft brim only) and lots of water. For all the Under 6, 7 & 8 teams jerseys of different colours will be provided. For all the Under 9, 10, 11 & 12 teams that represent Wolves FC, they will play in the traditional Wolves FC colours of gold and black or, where clashes occur, the alternative jersey of white and black. Should a team wish to purchase jerseys for their teams please refer to the Grassroots Co-ordinator in the first instance for details on what is permitted. Generally, jerseys must have a number and the Wolves FC logo attached. To find out more go to the Wolves FC Football Shop to enquire. 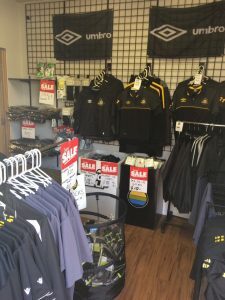 Any football item can be purchased or ordered at our Wolves FC Football Shop. For any further information, please contact our Grassroots Co-ordinator.